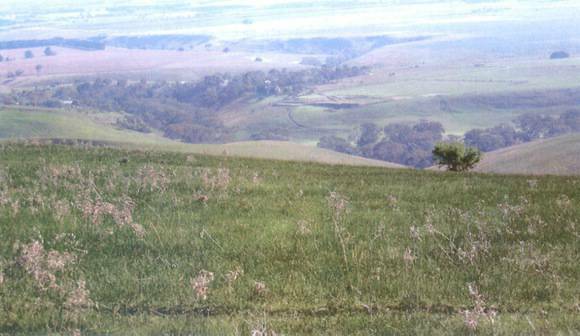 The Barrabool Hills are a distinctive upland ridge located to the west of Geelong, on the south side of the Barwon River. They slope steeply on the northern side down to the Barwon River, and more gently southward to the coastal lowland. Numerous Aboriginal sites have been located in the area. The area today has an open pastoral landscape with few houses and few trees, contrasting with the more densely settled surrounding lowlands. There are extensive views, many of which have been depicted in well-known landscape paintings. The area has been the source of one of Victoria's most important building stones: the remains of quarries are still visible, and there are several stone buildings including cottages, barns and churches. The grassy woodlands attracted settlers from the late 1830s, and it was the home of the first vineyards in Victoria. The Barrabool Hills are significant for it strong association with indigenous peoples at a Regional Level. 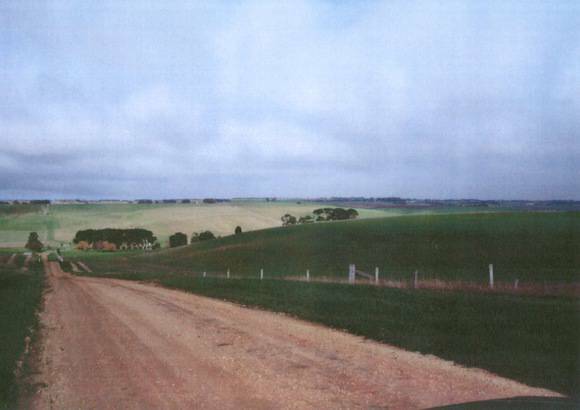 The Barrabool Hills are of historical importance at a Regional level. The Barrabool Hills are of high scenic quality, including views towards the hills from the surrounding area, such as those from Geelong, Victoria's second largest city, and from the shipping channels into Corio Bay. Being much higher than the land around they also offer long views from the hills outwards, particularly to the north, and there are striking internal views of an open, undulating pastoral landscape. The scenic quality has been recognised by many well-known artists, and the hills figure prominently in early paintings of the Victorian landscape, many of which are on display at the nearby Geelong Art Gallery. 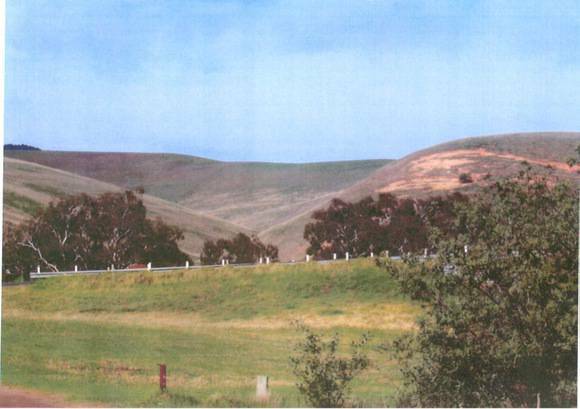 The area was important to the Aboriginal people, and Aboriginal Affairs Victoria has listed numerous sites in the Barrabool Hills. An important description of Aboriginal life in the area on the eve of European settlement is found in the account of William Buckley, who escaped from the convict settlement at Sorrento and spent thirty years living with the local Aboriginal tribe, the Wathaurong, around the Bellarine Peninsula and the Barrabool Hills. The Cretaceous sandstones that underlie much of the Barrabool Hills are the source of the highly regarded Barrabool Stone, a greenish, even textured sandstone worked in quarries around Ceres from the 1850s. It has used for many prominent public buildings in Melbourne and Geelong as well as locally. Currently there are eleven Heritage Overlays in the Barrabool Hills within Surf Coast Shire, mostly protecting buildings of local stone. Many of the European settlers who came to Victoria in the 1830s entered via the Port of Geelong, and the Barrabool Hills, visible from the port area, were regarded as potentially valuable pastoral country. As a result most of the area was selected for squatting runs by the late 1830s, and then surveyed in the 1840s for some of the earliest land sales in Victoria (Appendix 1G: Three parish maps). Ownership of the land encouraged the development of longer term crops such as vineyards: the area was the main source of wine grapes in Victoria until the industry was wiped out by Phylloxera in the 1880s.